For the past days, I’ve been reading the book of Edmund Chan entitled, “Cultivating your Inner Life”. And every story, every thought just moves me. 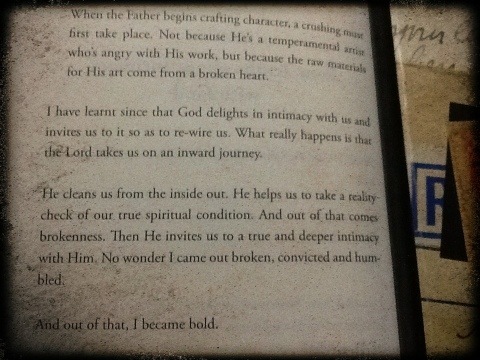 My read for today is on the myths and truths of intimacy with God. This is a part of my read which really struck me because of the same journery that I had which led me more to pursue intimacy with God.